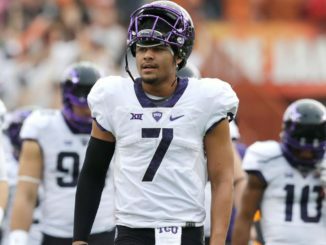 The season has gotten off to a decent start for the Horned Frogs, who hope to keep their play going impressively in the Texas college battle. The Raiders, on the other hand, are trying to keep it going too, in search of win #17. They don’t cover many spreads, as they are just 6-13 against the spread on the season. They aren’t ranked near the top in any category in the nation, but do have the #42 scoring defense in the NBA, allowing just 66 points per game. They allow the tenth-fewest made threes per game in the nation. This is a team that has relied on its top scorers to do most of the winning thus far. They also keep teams from knocking down the three at a high rate, as they are #7 in three-point percentage allowed. Desmond Bane is leading the team, averaging 15 points per game, shooting over 50% from the floor, and 35% from three. Kouat Noi is right around 15 ppg as well, hitting 40% of his three, while taking more than five per night. Alex Robinson, JD Miller, and Jaylen Fisher are all in double-figures as well, and continue to score at a high rate. Fisher jacks threes for the most part, and is making 3.3 a night, a ridiculous number. The three-point shot will either win or lose them this game. If we want to talk about impressive defense, it starts right here. They are #2 in points against in the nation, allowing just 56 points per game. They also have the top defensive rating, at 82.8, which is wildly impressive for the Red Raiders. 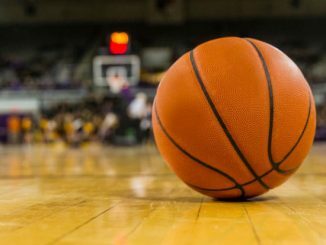 They allow the worst field goal percentage to opposing teams, and there are just so many things they can do effectively on that side of the floor. It really helps them out, and gives the offense time to get it going. This is a team that thrives off that. Jarrett Culver, a legitimate NBA prospect, is leading the team with 18.5 points and seven boards a game. He’s also averaging four assists, and hitting 38.2% of his threes. He’s far and away the top guy on this team, with Matt Mooney and Davide Moretti rounding out the guys who score in double figures for them. They struggle mightily with the three ball, and that is something that could give them some trouble last night. The first thing to do is bet on TCU +4.5. They shoot the ball much better than their opponents do, and Jaylen Fisher’s ability to spread the floor and knock down the three is huge for their offense. 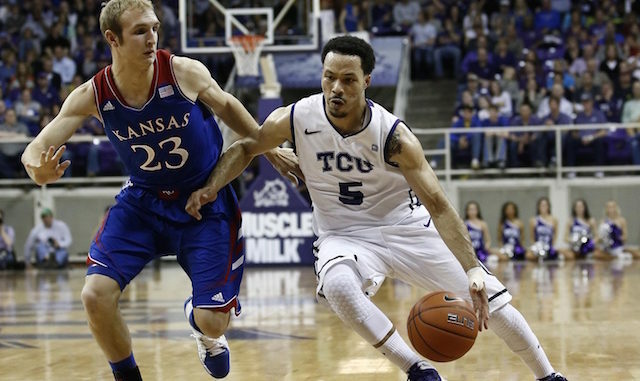 Texas Tech will get a good game out of Culver, but that won’t be lifting them to a win.